- Mix all purpose flour and salt in a mixing bowl and add cooking oil. - Knead a soft dough using lukewarm water and keep kneading with oil for 2-3 mins. - Cover it with plastic wrap and let it rest for 15-20 mins. - Wash and remove stems from mushrooms and finely chop them. - Heat olive oil in a sauce-pan and add mushrooms, paneer, oregano, chilly flakes and salt. Mix well and cook it for around a min. - Divide the mixture in 4 equal balls and roll out each of them as thin as possible (8-9" diameter). - Take one on a flat surface and cut the sides of it to make a square shape. Cut further into 4 pieces and follow the same process for all 4 balls. 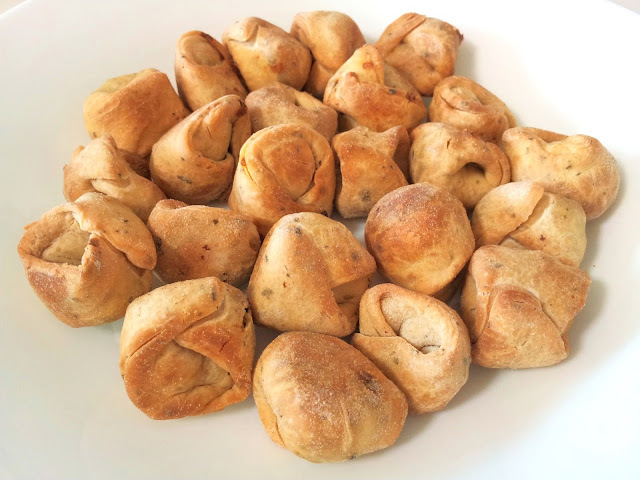 - This dumplings can be used with classic soups. Boil them in salted water and add in soup bowls OR add them when your soup is almost ready (before 3-4 mins). When it starts floating on top, it's completely cooked! - I baked these dumplings in pre-heated oven on 180 degrees for around 25-30 mins. Enjoy it as a snack!!! 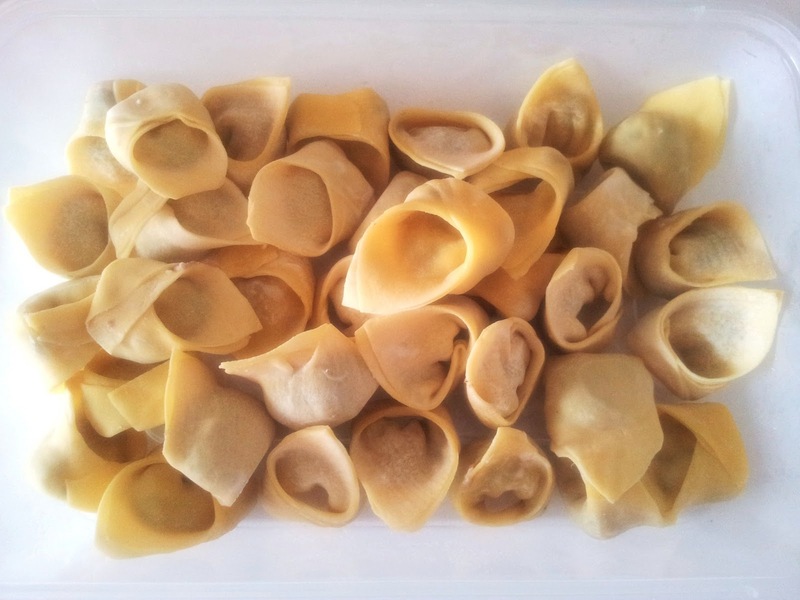 - To freeze dumplings-- Arrange them in freezer with no-overlapping for an hour. Then after you transfer them in your storage box and keep in freezer. Use when required!